Since there are not a lot of lightweight reversible seat strollers on the market, I was very excited to see a new Cybex Mios model. A little brother to the Cybex Priam model, Mios is a luxury lightweight stroller with a reversible seat and compact fold. It weighs only 19 lbs, but can also turn into a travel system or even a pram! The retro-modern design together with a maximum functionality create a statement piece that is ideal for modern parents. The narrow frame of only 19.7″ and small foot print make it perfect for navigating busy city streets and tight spaces. I was really impress not only by the sleek look, but also by great features like: huge expendable canopy that goes all the way down pass the bumper bar, the adjustable leather-like handle bar, all-wheels suspension, roomy basket, adjustable leg rest, flip-flop-friendly brake, swing-away leather-like bumper bar, and compact fold with auto-lock. But, the best feature of Mios is a reversible very roomy seat. It has one-hand lever recline that goes to a flat position suitable from birth and up to 55 lbs. It means you can put your NEWBORN right into the seat avoiding unnecessary car seat time (it’s not recommended to keep your newborn for more than 2 hours a day in the car seat). The back of the seat and the legrest are made out of breathable mesh that is perfect for hot weather. We all know how easy little kids start to sweat and how important good air circulation is. Of courses there is a seat liner you can add to the seat for the cooler days. I think that Mios is a huge competition for Bugaboo Bee which is also a luxury reversible-seat lightweight stroller. If I had to choose between the two, I would diffidently go with Mios because it has more compact fold, much higher weight capacity of 55 lbs (vs 37.5 lbs), easier to access basket, flip-flop-friendly brake, mesh seat back, bumper bar, and better canopy. I also like the look of the Mios much more than Bee 5 which reminds me of a wheelchair. LOL. All these great features landed Mios on my ‘Top 20 Best Strollers‘ list for 2018. Of course, this luxury buggy comes at a luxury price. You can get Cybex Mios in one of the seven beautiful colors for around $649 (free shipping) depending on the color and fashion. It comes with a bumper bar only, rain cover and car seat adapters that work with Cybex and GB car seats only. Check out this beautiful “birds of paradise” style on the photo below. -Huge canopy. The canopy is really great. It has two large UVP 50+ panels plus another zipped in panel that you can expose for better coverage. You can see from the photo below that it goes pass the bumper bar. There is also a large dark mesh peekaboo window with closure without Velcro so you are not going to wake up your sleeping baby. It’s always great to have a mesh peekaboo window instead of plastic since it provides better air flow. -Reversible seat. The seat is very roomy and should fit an older child with no problem. Firstable, the seat weight capacity is 55 lbs and it has a tall seat back and a high canopy. It measures 15″ wide with 23″ seat back and a measurement of 25″ from the back of the seat to the top of the canopy. BTW, the average is around 19″ for the seat back and about 22″ for the canopy height. Plenty of room. The seat is also reversible. All you need to do is fold the seat, unlock it, swing it around and click it back in. Of course you will need to take your child out of the seat first. LOL. The so called “memory buttons” make click-on and -off an easy task. The seat has an one-hand lever recline that goes to a flat position suitable for a NEWBORN. Ability to put your newborn right into the seat is what all the parents want, but not many strollers have. I thing that this is a great feature for a lightweight model. If you want to put your young baby directly into the seat, I would suggest getting some kinds of infant insert. You can also replace the seat with the infant car seat or a bassinet. -Removable seat liner. Parents who leave in the warm climates will really like the removable seat liner that exposes a double mesh underneath. That’s exactly what you need on a hot summer day to avoid overheating your child. Together with the mesh in the canopy it will provide great air circulation. -Adjustable handle bar. The handle bar goes up and down from 38″ all the way up to 42″ from the ground. Just like the bumper bar it is covered with faux leather. To avoid tipping the stroller backwards, hang your diaper bag on the frame using stroller hooks. You can also use it to hang your water bottle, or shopping bags. -Bumper bar. INCLUDED! It comes with a removable swing-away faux leather bumper bar that is very easy to clean. It’s also nice that you can fold the stroller with the bumper bar attached. -Adjustable leg rest. The leg rest is 9″ high (about average) and is adjustable. -Medium size basket. The basket is pretty roomy comparing to other lightweight strollers. Definitely larger than on umbrella models. You will be able to fit medium-large diaper bag with no problem. Because of the frame design, it’s easier to access in the front. The access in the back is slightly narrower, but you still will be able to get into your bag. -Wheels. It rolls on four hard rubber wheels with 5.9″ in the front and 6.3″ wheels in the back. The front wheels are swivel, but can be locked straight. These wheels are almost the same as on Bugaboo Bee. While Mios is designed for flat surfaces you can still take it on some mommy terrain like mulch and grass. -One-hand fold. You can fold the stroller with the seat attached facing any direction. Now, they do advertise it as an one-hand fold, but in the last step you have to bend all the way down to the grown when bringing the handle bar down and then press it to activate the auto-lock. You definitely can’t hold your child at the same time… Maybe a phone? Anyways, it does have a standing fold and an auto-lock. It does fold to a compact package of 13″L x 19.7″W x 29.6″H. -Bassinet option. You can turn your stroller into a stylish pram by replacing the seat with a matching bassinet called Cybex Carry Cot. It features a comfortable, extra wide mattress that ensures an ergonomically correct and comfortable lying position. The integrated UVP50+ sun canopy protects from sun, wind and rain. The carry cot weighs only 8 lbs and can accommodate a child from birth and up to 20 lbs. I retails for around $259. -Travel system option. You can also turn your stroller into a travel system by replacing the seat with an infant car seat. The car seat adapters are included! It works Cybex and GB car seats. -Works only with Cybex and GB car seats. While you can convert Mios into a travel system, it works only with Cybex and GB infant car seats which I love, but they are not cheap. And what if you already have another car seat? Here is a video overview Mios. The Cybex Mios comes in seven different fashions and two different frame colors. It also has a few beautiful fashion collections. You can get Cybex Mios in one of the seven beautiful colors for around $649 (free shipping) depending on the color and fashion. My favorite right now is “Black Birds OF Paradise” collection. I think it works great for boy and girl. BTW, I noticed it was sold out on a lot of sites. It comes with a bumper bar only, rain cover and car seat adapters. You will have to purchase all other accessories separately. I would definitely get a cup holder. Can’t live without a cup of coffee. LOL. Hi Susan, understand cybex mios was alreadt released in 2017, how to differentiate that the cybex mios version i bought is 2018? Thanks. What are the differences between the mios 2017 and 2018? And did they make the mios before 2017? I let be your review. I just saw your review for Cybex iris M-air as well, would you recommend Iris M-air or Mios. This will be for my first born, I like the look of Mios but it’s much mor expensive. Would buying Iris Mair require me to buy another stroller later on and Mios be enough as just 1 without an additional one later? Either one I’m olanning to also buy car seat and baby cot. Any suggestions for the first time mother will greatly be appreciated!! Sorry, I meant to type I “love” your review…. My other thoughts on baby strollers are from quinny or Aprica, but I’m Moreno toward Cybex Mios or Iris mair now. Thank you for the review. it was so helpful. Do you know if folded it will fit in an airline overhead bin? It seems like a great stroller for travel, but a bit pricey to trust the airlines to not trash it under the plane. Did you actually measure the seat can of the Mios? I was so excited that it was 23,” because my son is 100th percentile for height and has a long torso. I checked with Cybex and they said seat back was 20.5 😔. They didn’t really seem to know though. Hi! I am just wondering, where did you get your information regarding the seat back height? I contacted Cybex and they said it was 20.5, however they seemed a little unsure TBH. I am hoping that your information is the correct one, as my son really needs a new stroller with a taller back. Maybe you can help steer me in the right direction….? We have a Bugaboo buffalo. I love it, and it’s super nice, but we need something lighter and narrower, that’s easier to fold, travel with and keep in the car for mall trips, etc. I would love your recommendation for the stroller with the tallest seatback, that reclines for napping. So far I’ve considered Uppababy G-luxe (seatback is too short), Bugaboo Bee, Cybex Mios, and a Baby Jogger. Not sure which one though. I have been using the MIOS as my only stroller and I LOVE it. 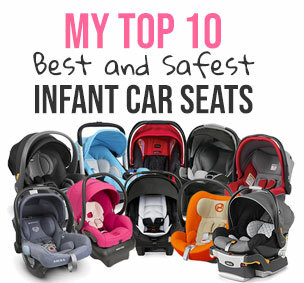 I have it with the carrycot and I also use it with my maxi cosi infant car seat. I also tried it with the nuna pipa in the store and it worked fine. It takes up very little space in the car and it can fit between the most narrow aisles in any store. One of my favorite features is that everything can be done with one hand. I have it a color that is not listed here: manhattan grey plus. It’s a beautiful heather grey. I absolutely love this stroller. It is such a delightful experience taking my baby out for walk everyday in it. And it can be used many years down the road. ‘which one should I go with ? the mios or balyos s ? Thanks for any information you could provide. Hi. I’m considering the Uppababy Minu or the Cybex Mios. I want a lightweight stroller, not necessarily for traveling, but because I’m short. Whenever I’ve tested out the heavier strollers in stores, they just seem to be too much for me to haul in and out of a car. I live in a hilly neighborhood with rough streets, so wheel suspension is important to me. Also, I live in Southern California, so the mesh back of the Mios seems like it would be nice. Which would you recommend between the Uppababy Minu and the Cybex Mios? Could someone please let me know the width of the storage basket from front and back? As far as I understood the front has a wider opening.